FortiCloud is a cloud-based provisioning, configuration management and analytics service for FortiGate®, FortiWiFi® and FortiAP® product lines. It gives you the ability to quickly get up and running with Fortinet products while maintaining centralized control and visibility of your network. Since FortiCloud is a hosted solution, there is no additional hardware or software to acquire or deploy at your data center. In addition, FortiCloud is free of charge — optional subscriptions are available for customers who require extended log retention and advanced features. FortiAP-S Indoor Access Points are cloud-managed access points with enterprise-class capability. The FortiAP-S access point delivers gigabit performance, security and reliability to meet the growing demand of pervasive WiFi in SMBs and distributed enterprises. 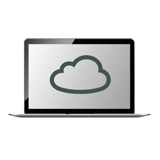 A Cloud WiFi service with comprehensive threat protection. With Fortinet’s award-winning security technology embedded in the AP, the FortiAP-S series provides the most compact solution for complete content and application security provisioned and managed remotely from the cloud through FortiCloud. FortiCloud service simplifies ease-of-deployment, operational efficiency and total cost of ownership.